Winter, Spring, Summer & Fall, Inc.
Southwest Environments Landscape Services, Inc.
Locks Lawncare and Landscaping, Inc. Comment: 1/3 acre needs to be cleared of weeds and preparation for landscaping. Comment: I own a rental, I need a one time cleanup then bi-weekly maintenance after that. The house is in Santee by Santee lakes. Comment: Have many bushes that require trimming (and disposal of clippings) and some clean up & removal of old mulch/bark in the beds the bushes are in. Comment: I just purchased a home and want to start routine biweekly front and backyard lawn mowing. Comment: I have a rental in Santee by the Lakes. First, it needs a total cleanup, then I need a bi-monthly service. Comment: We have been stood up by our last company and itâs frustrating. We just need someone to come and pull our weeds in our front and back yard. Normal size yard. Santee Lawn Care Services are rated 4.63 out of 5 based on 2,096 reviews of 31 pros. 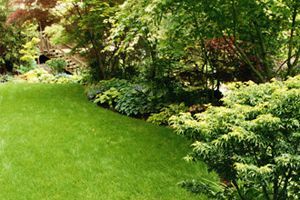 Not Looking for Lawn & Garden Care Contractors in Santee, CA?